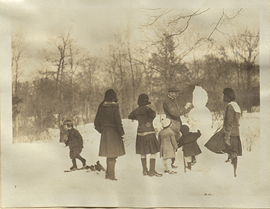 Group of People Building a Snow Lady, photograph. 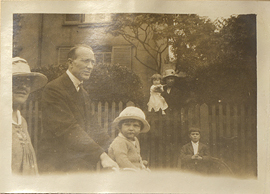 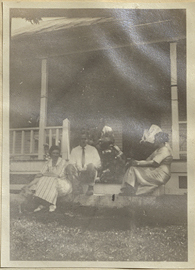 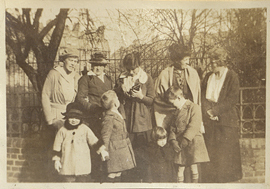 Group of People on a Porch, photograph. 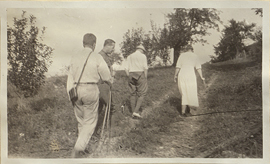 Group of People Walking, photograph. 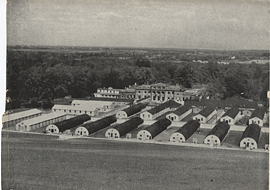 Hackwood House, Basingstoke and Nissen Huts, photograph. 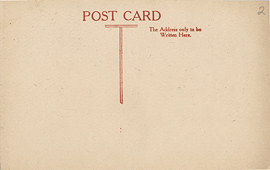 Hackwood House, Basingstoke, postcard (back). 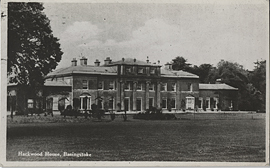 Hackwood House, Basingstoke, postcard (front). 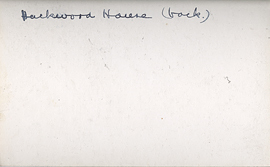 Hackwood Road, Basingstoke, postcard (back). 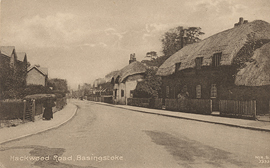 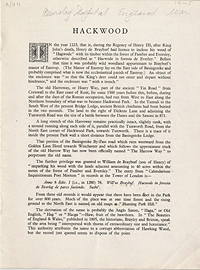 Hackwood Road, Basingstoke, postcard (front). 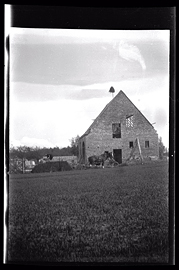 Half of a barn in Breslau, negative. 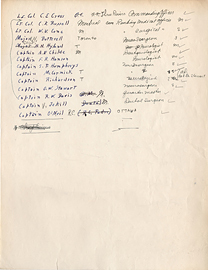 Handwritten list of names and positions. 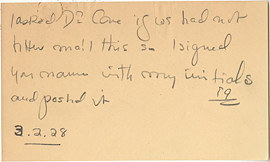 Handwritten note from Bill Stewart to Wilder Penfield. 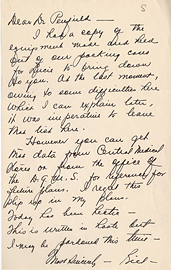 Handwritten note regarding message sent to Dr. Cone, March 2, 1928.